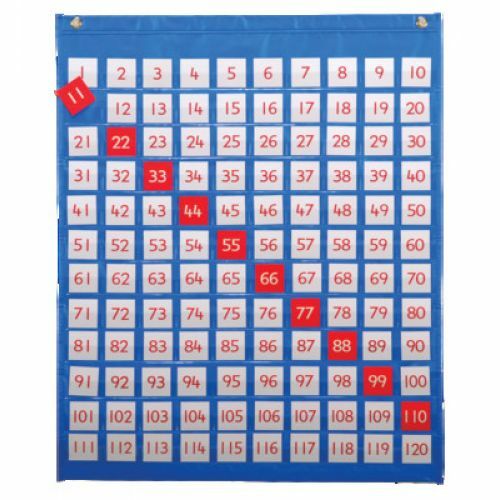 120 clear pockets make this chart ideal for teaching numbers, odds, evens, and operations. 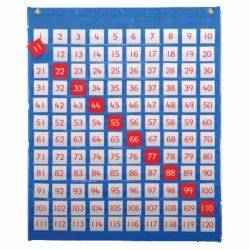 Different color on reverse side of number tiles to highlight patterns. 27" x 31 3⁄4".